Tweet I’ve been to hundreds of concerts and that includes past Pearl Jam shows and I’ve never seen anything like what I saw tonight in Moline, IL. I saw a crowd of mostly fans who’ve waited 20 some odd years to see their favorite band for the first time ever. Pearl Jam had never been to Moline, IL and I’ve never seen a crowd so excited…for three plus hours. When you mix the excitement of fans seeing their favorite band for the first time with the die hard fans who’ve seen them dozens of times you get magic. Normally when you go to a live show only certain sections of the crowd will make noise or raise their hands and after a little bit they’ll let down. Not during the Pearl Jam show in Moline, IL. From the front of the arena to the last person in the last row of the upper deck, every single person was screaming and waving their arms. 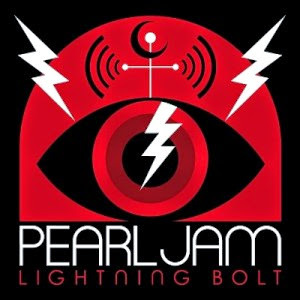 During most concerts there is a lull midway through the set where the band can play their new album and fans can get another beer or use the rest room…not during the Pearl Jam show in Moline, IL. This was a three plus hour show that didn’t feature casual fan favorites like “Daughter,” “Better Man,” “Not For You,” “Black,” “Animal,” “The Fixer” amongst others yet there was never a let down. I’m still in amazement. Prior to this show I was starting to believe that Gene Simmons was right about rock being dead. It wasn’t dead on Oct 17th, 2014 in Moline, IL. It was alive and well. Normally when you see a rock show the front man tells you how great you are, tonight I believed it. Eddie and the rest of the crew seemed genuinely pleased, shocked and overwhelmed by the response they were getting. I love when music gives us those moments that send chills up our spines and tonight music gave us that. Pearl Jam could have played until every person left the building and I think they’d still be playing. I can’t imagine the feeling those guys must have gotten. As someone who’s been critical of the rock audience as of late it was refreshing to see that there is still some life left in the rock n roll audience. To all the fans in attendance there is still great rock music out there. If you could just give half the attention you gave Pearl Jam to some of the younger bands coming up maybe rock n roll won’t die with Pearl Jam and their generation of rock music. Exactly it's seriously 3 am now and I'm still shell shocked at what we witnessed. Blown away was indeed my first Pearl Jam show and I'm thrilled it'll go down in History. Seriously playing entire album( No Code) in order for the 2nd time ever in their History, last time he said was what, before 1991, unreal.